Drawing on over a century of accumulated knowledge and craftsmanship, b Series is Yamaha’s most affordable upright piano range ever. worthy of the acclaimed Yamaha name. With a contemporary, minimalistic design, the b1 offers the beauty of a modern, compact, piano whilst providing an impressive and inspiring tone. Its discrete size also makes it a perfect fit for smaller rooms. 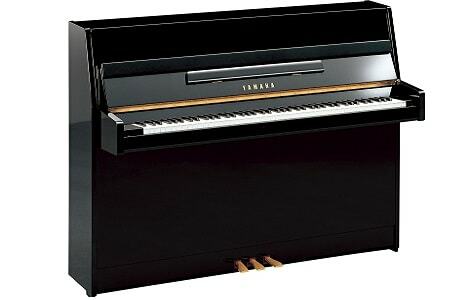 The b Series range is also available with Yamaha’s new SC2 Silent Piano system, allowing for uninterrupted practice through headphones at any time without disturbing others. It’s fun, practical, and you can play to your heart’s content night or day. What’s more, Yamaha Silent pianos can be connected to computers and iOS devices to unlock a whole world of creative potential – whether scoring your next composition or keeping a record of your practice and progression.